Helpful tips for ER/ED on miscarriage and stillbirth. ​Have a checklist of what staff is responsible for. Knowing exactly what their responsibilities are relieves staff stress as far as their legal responsibilities, and allows them to better focus on the needs of the patient. 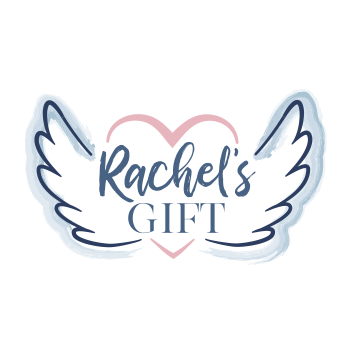 ​If you use the Rachel’s Gift miscarriage resource (described below under "Provide a Keepsake") make sure the location of the resource is communicated and is on said checklist so staff members don’t forget to give one to the patient with the rest of their discharge paperwork. ​Be cautious of using medical terms in front of the patient and patient's family. Consider using the term “miscarriage” instead of “spontaneous abortion.” Consider “stillbirth” instead of “fetal demise.” The wrong words can cause further trauma. Utilize Labor & Delivery staff and/or Chaplain staff. Attempt to get someone from Labor & Delivery involved as they have resources and have had training on interaction and care for patient and baby. They are aware they have been asked to be a resource for the ER/ED and are willing to help you better care for the patient. ​Medically, it may be considered “products of conception,” but to your patient, this was their child. Do not put in hazardous waste bag or metal container. Wrap in a blanket and get someone from Labor and Delivery involved, or refer to your checklist as mentioned above. ​Say, “I’m so sorry for your loss.” Do not avoid the fact your patient has lost a child they were expecting. No more than that is necessary - just an acknowledgement. ​Give moms, at the very least, a miscarriage card (produced by Rachel’s Gift) with their paperwork. This acknowledges the loss and gives them a place to go after they are home if they need further assistance. You can request these cards by emailing rachelsgift@icloud.com. ​This information provided by the Education Department of Rachel's Gift, Inc. For more information, please contact rgeducation@icloud.com.